Discover India: Was pi really invented in India? This is a blog about the secrets of Indian history and what the Indians have lost along the passage of time. Follow us. Be proud to be an Indian! Was pi really invented in India? Wikipedia says that pi was invented by William Jones, a mathematician from Wales, in the 1970s. 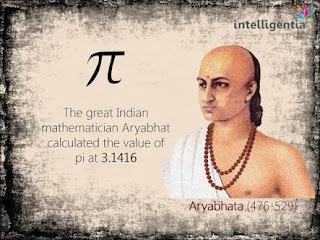 But, little do we know that our own legendary mathematician Aryabhatta had mentioned the value of pi in one of his ancient shloks, written in 455 A.D.
Our ancestors had a very unique way of passing their time in those days. Most of their time was spent in doing yagnas to various demigods and goddesses. One of the peculiar features of the yagnakundas used for doing yagna was their unique shapes. 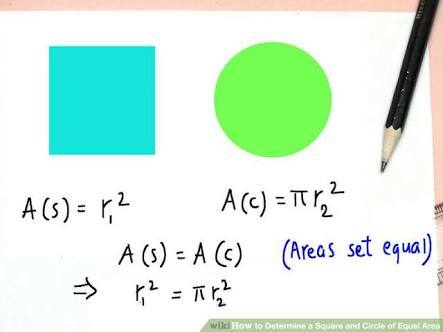 Some yagnakundas were square, some were circle and some semi circle. The area of the yagnakunda, however, was same for all yagnakundas. 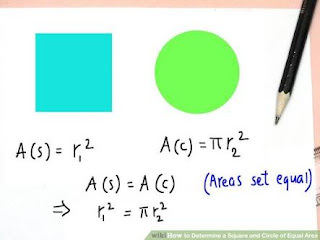 Now, a simple mathematical equation, as given below, between the area of square and circle, can give us the radius of a circle whose area is equal to a given square. chaturadhikaM shatamaShTaguNaM dvAShaShTistathA sahasrANAm AyutadvayaviShkambhasyAsanno vr^ttapariNahaH. The word "Asanna" indicates that this is an approximation. This value was used to build yagnakundas of circular shapes. 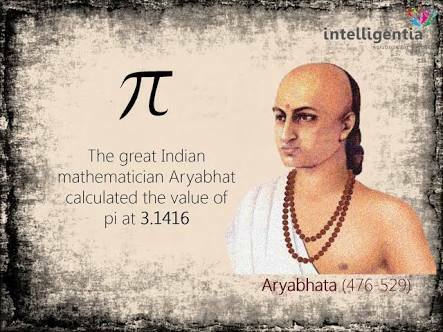 Does this mean that Aryabhatta was the true inventor of pi? India is going to be the greatest supplier of fuel in a few years! Why should women change their titles after marriage? You will be born again in 4,320,000,000 years!!!!!!!!!!!! !